Ships today if you order in the next 5 hours 42 minutes. Make periodic cleansing and daily purification a normal part of your day! In the environment today, we are exposed to increasing levels of harmful pollutants, such as smoke, caffeine, food toxins and alcohol. 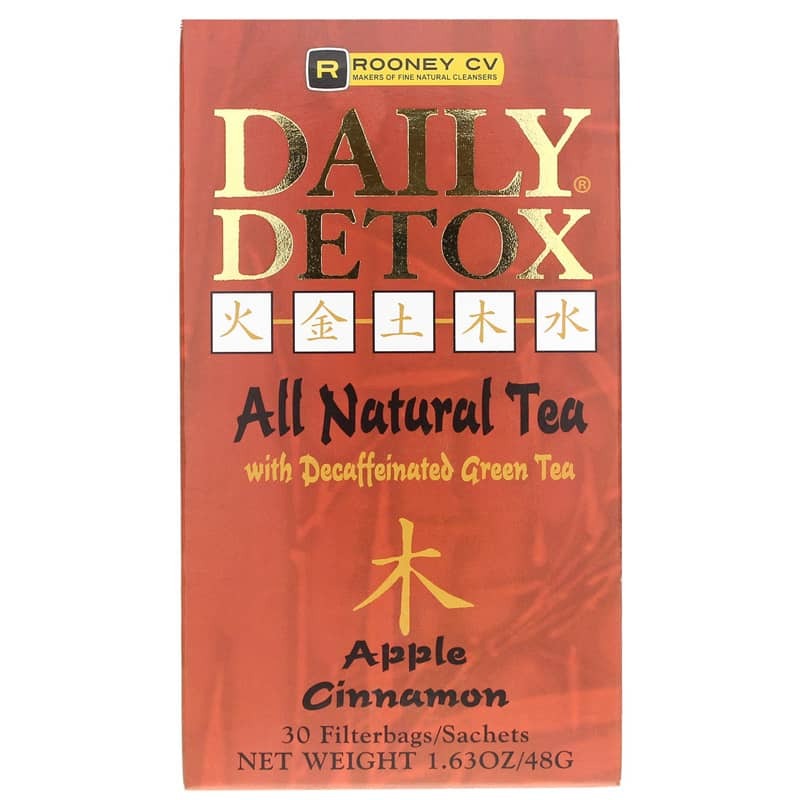 To reduce these toxins, Rooney CV Daily Detox All Natural Tea contains more than ten potent Chinese purification herbs. 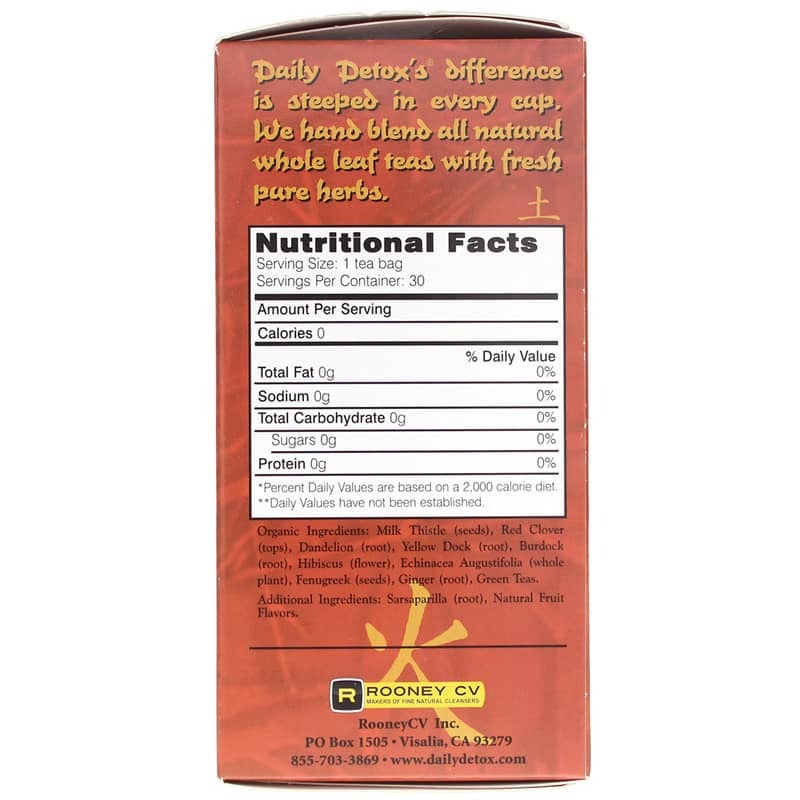 Daily Detox Teas assist your body in removing harmful toxins by making purification a normal part of your day. 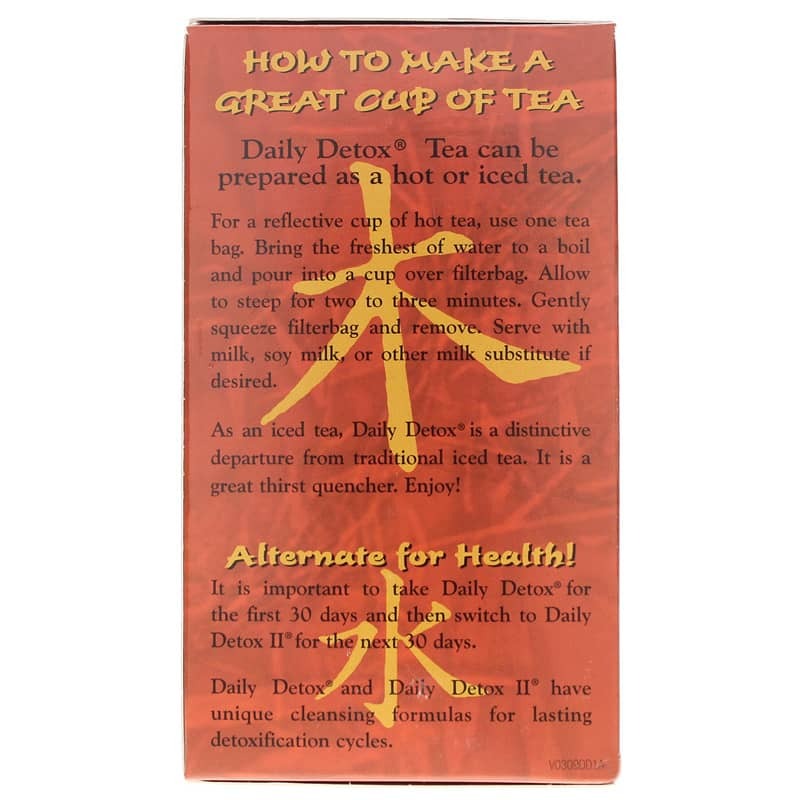 It is important to use Daily Detox Tea for the first 30 days and then switch to Daily Detox II for the next 30 days. 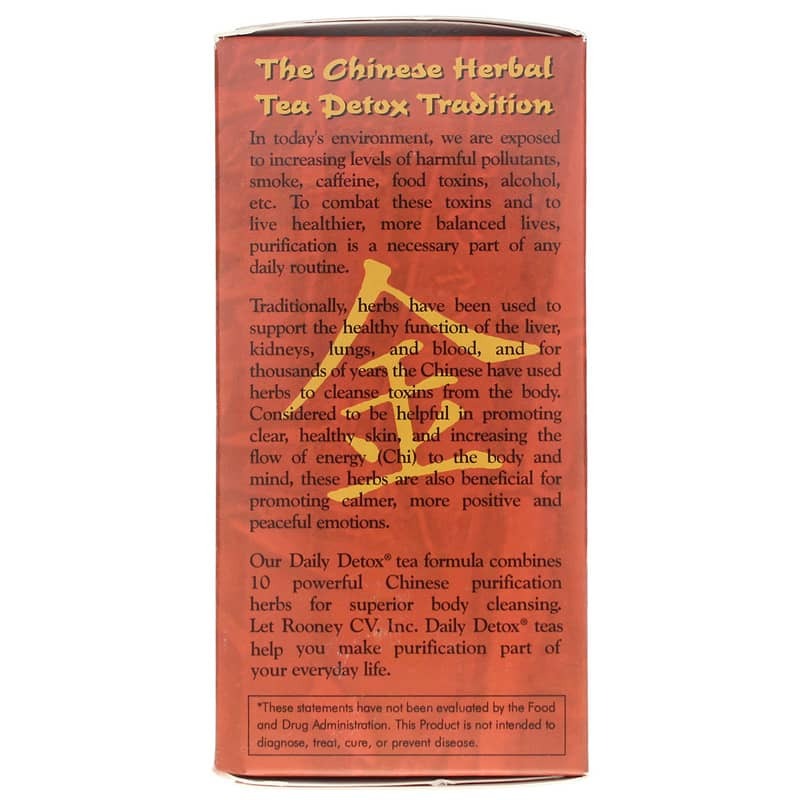 Daily Detox and Daily Detox II Teas have unique cleansing formulas for lasting detoxification cycles. Hand blended all natural whole leaf teas with fresh, pure herbs. Can be prepared as a hot or iced tea. For thousands of years, the Chinese have used herbs to clear away toxins in the body. Herbs have been considered to promote clear, healthy skin; increase the flow of energy (Chi) to the body and the mind; and promote calmer, more positive, peaceful emotions. They continue to be used to support the healthy function of the liver, kidneys, lungs and blood. Ingredients: Milk Thistle (seeds), Red Clover (tops), Dandelion (root), Yellow Dock (root), Burdock (root), Hibiscus (flower), Echinacea Angustifolia (whole plant), Fenugreek (seeds), Ginger (root), Green Teas. Other Ingredients: Sarsaparilla (root), Natural Fruit Flavors. For a reflective cup of hot tea, use one tea bag. Bring the freshest of water to a boil and pour into a cup over filterbag. Allow to steep for two to three minutes. Gently squeeze filterbag and remove. Serve with milk, soy milk or other milk substitute if desired. It is important to take Daily Detox for the first 30 days and then switch to Daily Detox II for the next 30 days.